Black Poplar (Populus nigra): growing, planting, caring. A beautiful poplar, ‘Wild black’ refers to its dark bark. Populus nigra - the black poplar - is a species of cottonwood poplar native to Europe, southwest and central Asia, and northwest Africa. 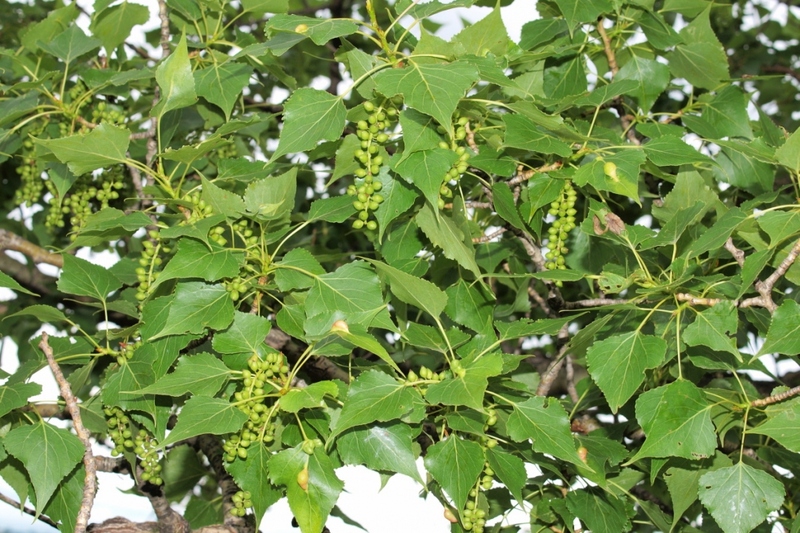 It is a medium to large-sized deciduous tree, reaching 20–30 m, with diamond-shaped to triangular, 5–8 cm long leaves, green on both surfaces. Poplars have alternate broad, oval, triangular or diamond-shaped deciduous leaves at the end of long, flexible petioles. 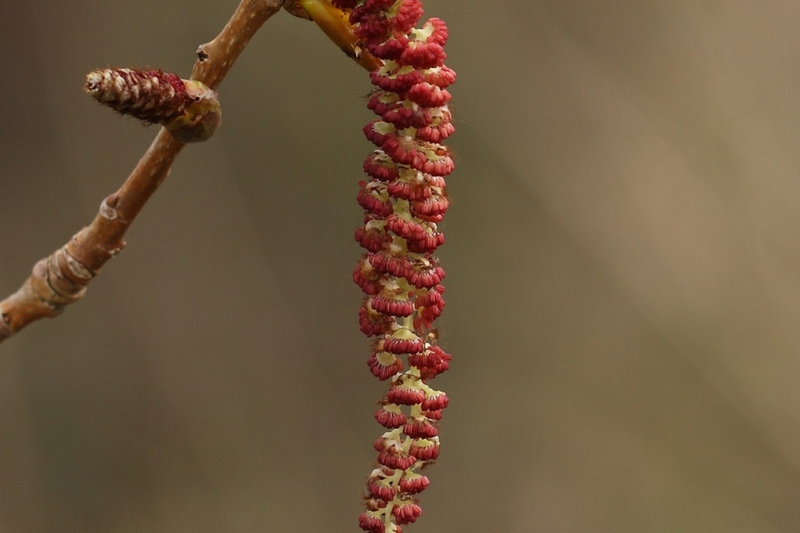 These are first-rate trees that carry flowers in February-March, in the form of kittens, before the first leaves. Poplar bark is deeply wrinkled. Plant in cool, moist, drained or heavy soil, in the sun, not too close to a building. Planting bare roots is only done in winder where as you can plant trees with a root ball and in a container until spring. With bare roots, carry out a treatment (shorten the roots and soak them in a mixture of soil and compost). Plant in a hole that is about 20 cm bigger than the root ball, gradually put the crumbled earth back by regularly tamping down around the roots. Water after planting with at least 50 liters of water that you will pour into a basin formed around the trunk. A tilted stake planted in the hole will be useful against strong winds as long as you don't forget to remove it after 2 year and that you use a supple attachment. Two years after planting, remove the stake. 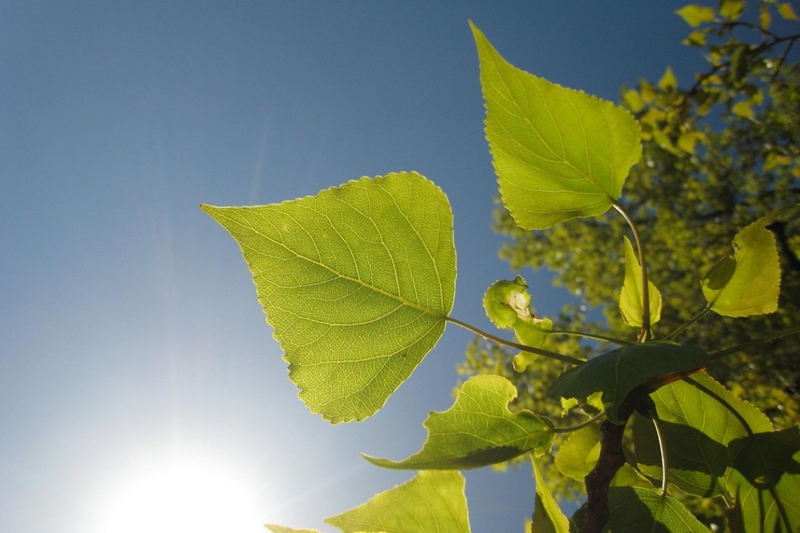 If your poplar is planted in dry soil, mulch it every spring with crushed wood. There is no need to prune poplars. Nevertheless, in winter you can cut the branches that crosses each other, and those that are dead. 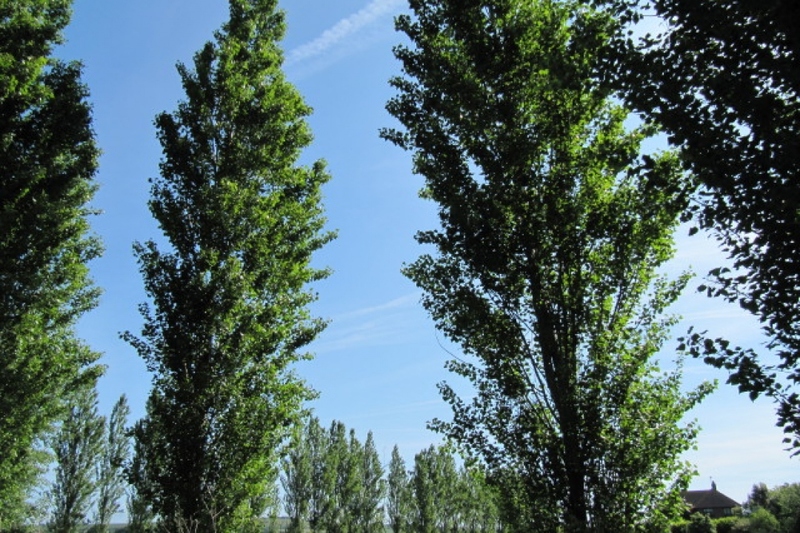 Bad news, the poplars are victims of a cohort of diseases almost all intractable ... Some attack the leaves, others the wood. Rust, defoliating caterpillars, insects that burrow and bark ... But hey, how to treat an adult tree without spraying the whole neighborhood? Burn a little candle - or whatever you want - and let your tree get along like an adult. Groww can provide you with a pat on the shoulder, if needed.